that'swhat I want to be remembered by forever. Nevermind any other thingI may have done. It's Flair that really reflects me." 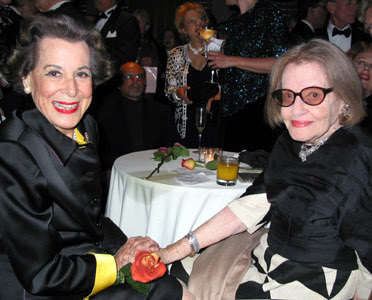 Fleur Cowles' death was reported earlier this month. As she requested, she will be remembered for her magazine, Flair. 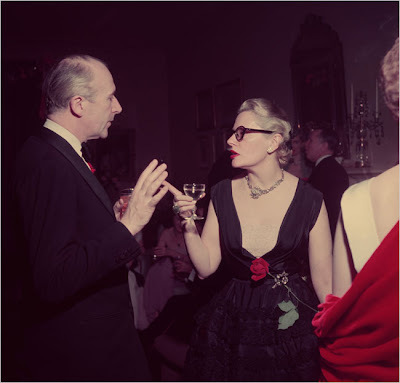 Published for a mere 12 issues, from February 1950 to January 1951, Flair caused a sensation with its innovative coverage of décor, fashion, travel, and literature. 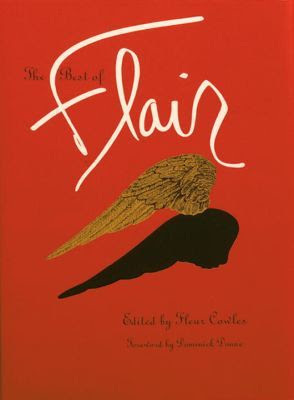 While Flair is her most famous creation, Cowles was a prolific writer, producing 16 books. As a painter, she amassed more than 40 exhibitions in galleries and museums around the world. Fleur Cowles was 101. Perhaps that longevity can be ascribed to her ever inquisitive mind as she once said, "I have an idea a minute." Thanks for the photos; fascinating woman! I own a print by her, and it never being fun to view.